Home Unlock ZTE How to Unlock Vodafone ZTE K4510-Z? How to Unlock Vodafone ZTE K4510-Z? 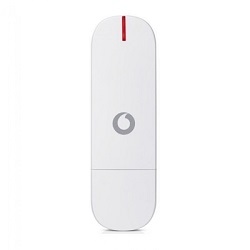 Factory unlock code of Vodafone ZTE K4510-Z dongle is now available. Means, if the device is asking for SIMlock / NCK after changing the SIM card, then it can be unlocked easily. Once, Vodafone ZTE K4510-Z modem is unlocked, you can use it with any carrier SIM card. How to Unlock Vodafone ZTE K4510-Z Modem? 1. Change the default SIM card with any another network provider and connect Vodafone ZTE K4510-Z to PC. 2. Let it install the drivers and software. 3. It will automatically open the ZTE WebUI / connection manager and will ask you for SIMlock / NCK code. 4. Enter the correct SIMlock / Unlock code and click OK.
5. Now your MF190U is unlocked forever. Now, you can connect to the internet with any network provider SIM card. Note: You need to pay for the factory unlock code of Vodafone ZTE K4510-Z. Only pay if the device is asking for NCK / SIMlock code. If not works as mentioned above, then let me know before making the payment. Note II: While paying, mention the IMEI in the transaction. Correct code will be emailed. Previous articleHow to Unlock ZTE Conexis A1? Next articleHow to Unlock ZTE Grand S II LTE?